The first thing that occurs to you when you become the proud owner of a brand new planer/thicknesser is how on earth did you manage without one before. You'll look forward to getting stuck into the next cutting list and enjoy the prospect of being more efficient with your time than ever before. The high begins to fade slightly as you realise you'll just have to get used to the drone in your headphones every time you turn it on, and then of course there's the damn mess. Cleaning up after one of these, however good your extraction is, does, unfortunately take a while. One thing I've learned is that there's a consistent ratio of maintenance vs convenience to be accounted for at every level of automation. For the most part, these machines are objects of convenience; they're not in any way a pleasure to use so need to work a little harder than say, a redundant hand plane, to earn their keep. The ultimate test of this relationship comes when you need to change knives for the first time and it's often the beginning of the end of what was once a beautiful relationship. Unnecessary down time invariably creates havoc with the production schedule while the clock just keeps on ticking and however you rate your time, whether it be for profit or for pleasure, it has a value and to have it slipping through your fingers is terribly frustrating. Now we don't run anything like a commercial workshop at F&C, but I'm always looking for ways in which we can keep our running costs down and that invariably means doing as much as possible in-house. This month the job that everyone else has been avoiding fell to me. As I'm the main user of the machine my actions aren't nearly as altruistic as I'm making out, but you can probably sense the enthusiasm with which I approached the task. The machine in question is a Startrite SD300 planer/thicknesser and it's been with us for well over three years. In fact we ran a review in F&C 163 in February 2010. As I recall I was a little underwhelmed with some of the features, like the flexible fence assembly, and the absence of a locking mechanism for the rising table, but give it its due, it has performed very well. We don't have the need to run out a lot of stock to a critical dimension and the fence has never budged from its 90° setting in all that time so my concerns have been largely dealt with. I mentioned at the time that the three HSS knives in the SD300 block are sat on springs to force them upwards, which makes setting them easier and I gave a brief summary of how to reinstate them. For the money - Â£1,200 in 2010 - this was about as high tech for a trade-rated machine in this price range as you could get, although I did and still do much prefer a block with grub screws that I can adjust to raise the knives myself. I know people complain about them clogging up with dust and it's possible to round the Allen head, but they do give you more control over the height adjustment. In 2013, however, the field of play is somewhat different. The Startrite SD300 is now around Â£1,700 and there is a new cutter on the block in the shape of a segmented spiral, which was most recently introduced by Felder and covered in F&C 205. So how does the HSS block stand up by today's standards? 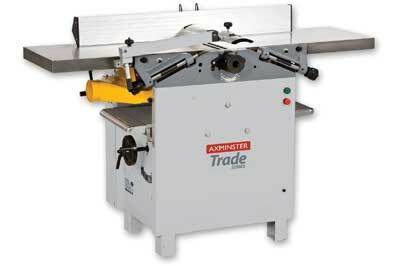 For a start Â£1,700 seems to get you more for your money if the new Axminster Trade Series AW168PT is anything to go by. 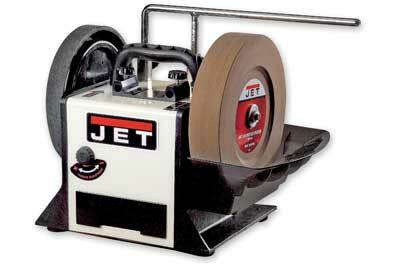 This machine has a 410mm wide table and a fourth knife while the Jet JPT-310, available through BriMarc, is a three-knife machine with a similar price tag. If you placed these two machines and the SD300 in a room together and listened carefully, you'd most likely be able to hear the sound of duelling banjos as they're strikingly similar and have more than just anti-kick-back teeth in common. Shop around and Â£1,700 will get you a two-knife Scheppach Plana 4 making the SD300, on paper at least, still competitively priced although the Charnwood W590 can be picked up for just under Â£1,500 and comes with a micro dial adjuster as standard. The specification on these machines is variable with no clear winner as the best features are not all found on a single machine. It's not until you dig a little deeper - to the tune of Â£2,500 - that you see any tangible benefits, and this is where things start to get interesting. At this level we're into quick-change disposable knives and a far more rugged construction like the Sedgwick PT - Â£2,630 - and the Hammer A310 - Â£2,460. The footprint for all these machines is much the same and once you've considered your requirements with regards to application, there's not a lot to separate them. Prolonged usage will undoubtedly require a higher rated motor especially if you intend to work at the limits of the machine most of the time. I don't wish to dwell too much on the pros and cons of specific machines as I believe the benefits are best summed up by first establishing how you intend to maintain your investment so that it's always ready, willing and able to do the job, and for that you will need to consider how you intend to keep the knives sharp. For the purpose of this article and in the spirit of DIY, I called in the SVH-320 planer knife-sharpening jig for our Tormek T-7. This wetstone grinding system has become my default setting for sharpening all manner of tools in the workshop prior to honing. 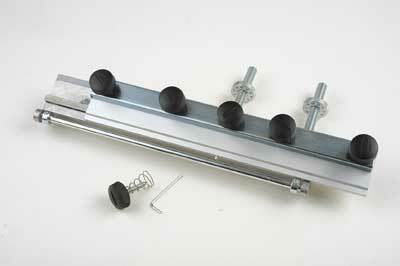 The various jigs available for the system are always well made and do the job they're supposed to extremely well. So the SVH-320 seemed like the obvious choice. Like anything that involves water in the workshop, the preparation is akin to that of child-birth; your own space and plenty of towels. The user instructions are clear and easy to follow thanks to the diagrams - something that Tormek also does extremely well. Knife projection is governed by the jig, and a combination of height and angle settings is all that's required. The only thing missing is the extended drip catcher shown in the guide that is part of the AWT-250 accessory pack, which costs around Â£20. 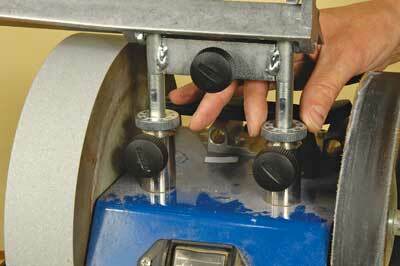 Without it your wet area extends a good 300mm beyond normal sharpening. The sequence for setting up is quick when you've mastered it and I strongly recommend taking note of the advice in the guide, which will avoid grinding from the back of the bevel to the front. It does take a lot longer and if you are to maintain the same setting for your set of knives, three in the case of the SD300, what could be a half-hour job could - or rather did - take considerably longer. I did rather make a meal of sharpening all three knives on the jig first time round: three and a half hours including stripping the block down was the count and almost entirely due to working from the back of the bevel. 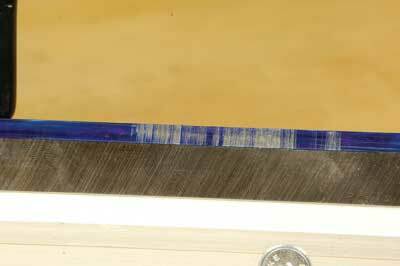 The following day and a slight adjustment towards the front edge meant the actual sharpening process was complete in around 30 minutes. Grading the wheel to a finer cut for the last couple of passes will achieve an edge that is good to go after a few strokes on a series of honing films. All three knives took, within a couple of passes, the same amount of work to sharpen, five being the average, and there seems to be a logical reason to assume this will be the case in the future if the knives are always sharpened as a set with the dullest blade I used as a reference for all the settings. The only time I can see this being a problem is if you should have one chipped edge that requires more grinding. The advantage of completing less passes on the better knives may well be overshadowed by a second setting-up process every time you repeat the job thereafter. 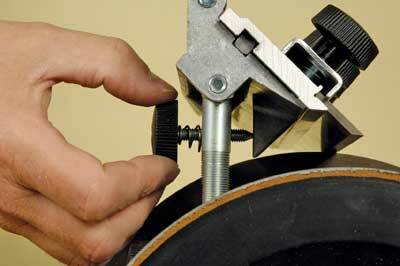 Geoffrey Laycock gave some great tips on using the Tormek in F&C 197 including the necessity for the TT-50 truing tool. The advice still stands and is even more critical with the use of the SVH-320 owing to the length of the blade on the jig. I'm going to add to the shopping list the SP-650 Stone Grader, which allows you to set the grinding wheel to give either a coarse or fine cut or just introduce fresh cutting particles to the surface of the wheel. If you're used to working blades up to 50mm wide then suddenly three or four knives at 300mm long requires a lot of steel to be removed, so a fresh grinding edge to the wheel for each knife will make things a lot quicker. Focusing our attention on machines around the Â£1,700 mark excludes all of the quick-change systems meaning the choice of knives supplied as standard is limited to HSS. Not much of a choice I know but there are some definite advantages to HSS. Firstly, they can be reconditioned in-house and honed to give a cleaner cut than you might find with a TCT disposable blade off the shelf. Secondly, and this will appeal to hand plane aficionados, the bevel can be adjusted to cope better with awkward grains. 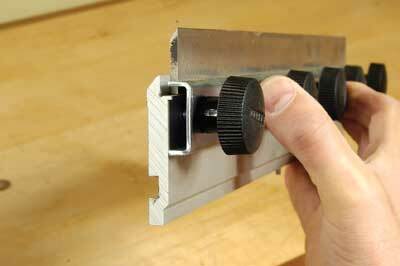 The downside is that they will not retain an edge as long as the TCT. Some of the benefits of TCT can be found in HSS/TCT tipped knives that can be fitted to a typical HSS drop-in style block. I say some of the benefits because the brazing process used to join the two metals together requires a lower grade of carbide steel to work, thus resulting in an inferior edge to that of a typical disposable knife and an HSS knife. The bevel on these knives is generally ground to something like 35° and not 25°, which makes them unsuitable for soft woods. Excluding Tersa blocks, which are geared towards industrial usage and therefore above and beyond the remit of a smaller workshop, an extra Â£800 or so will undoubtedly buy you time and convenience when it comes to changing knives. To give you an idea of how convenient a disposable knife system is, I know of one bench rental workshop that asks each member to purchase and use their own set of knives for any long production runs or for working particularly abrasive timbers like iroko (Milicia excels), teak (Tectona grandis) or reclaimed timbers. Needless to say, each operator quickly learns to set up and be on their way in a couple minutes, which is something you could not expect to achieve with HSS. For a few passes the communal set is left in the machine. 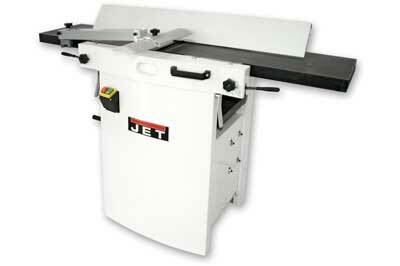 Available through Axminster is the Jet Wetstone System which has the Jet JSSG-10 as its platform - Â£219. For infrequent use this machine is comparable in size to the Tormek T--3 - Â£279.95 - if you just need a wetstone grinder. 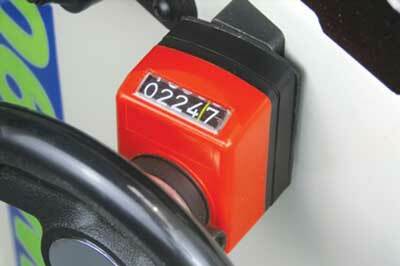 The tool bars are the same gauge so most of the accessories are interchangeable. Unfortunately the system does not include a planer knife jig suggesting that, like the T-3, it is a little under powered to tackle the bigger jobs like 300mm wide planer knives. 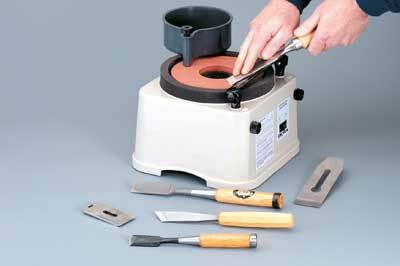 If grinding a hollow is not to your liking you could try a horizontal waterstone grinder. The Shinko Sharpening System from Dictum - Â£208 - runs Japanese waterstones from 280 grit up to 6,000, and these are suitable for honing. I had one of these for a number of years but was never able to dress the stone successfully after a well meaning apprentice sharpened every drill bit in the workshop across the entire width of the stone! Like the Jet there's no dedicated jig that will take planer knives, but in this For those woodworkers on an even lower budget there is the Dakota DW500 horizontal waterstone grinder from Rutlands - priced at Â£113. 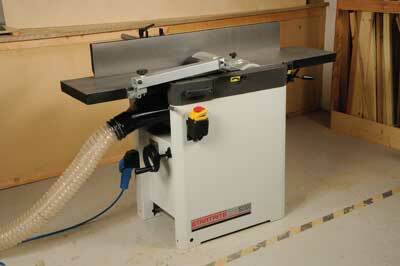 The same machine is badged as a Makita in North America and does have a planer knife jig. 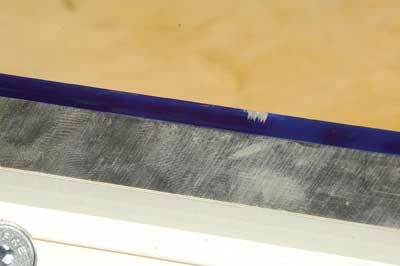 As with the Shinko, maintaining a reliably flat surface parallel to the toolrest might prove awkward and, unless you want to be replacing stones on a regular basis, I'd pass on this one for solely planer knife sharpening. The method used to reinstate HSS blades back in the block using a length of timber receives its fair share of attention in books, magazines and on forum pages, so I'll not labour too long on the technique of this other than to say that it does get easier with practice. Even though it's always felt a little hit and miss to me it does work and some initial perseverance will pay dividends in the long run. Just bear in mind that it will set the knives relative to the outfeed table and not necessarily parallel to the thicknessing bed. Personally, I try not to get too hung up on whether the knife edge is set above or in line with the surface of the outfeed table. If you're in any doubt, aim for higher. A piece of paper between the table surface and the wooden block is usually sufficient. With the knives above the table some snipe will be evident, the amount of which can be reduced by lowering the knives, but avoid a setting below the level of the outfeed table as it renders the machine virtually useless. My advice is, don't fret too much over the first and last couple of inches of a board. If this dimension is critical, you might like to adjust your accepted level for wastage when calculating material requirements from the outset. Believe me, it's a lot less stressful in the long run. However, if the material is precious and you really do need the board's full length, then reduce the depth of cut for the final few passes, stop short of the final dimension by the depth of the snipe and finish to thickness with a hand plane. Is a couple of thou' critical? In relation to the overall height of the knife, the short answer is most definitely no. With such a bold statement you're going to want me to support the claim and you'll be pleased to hear that it's actually quite simple. By the time you've finished battering the living daylights out of your precious piece of timber with an iron bar, it's highly unlikely it will be fit for purpose in its raw state for anything other than packers. You can't joint it in that state and you certainly can't apply a finish to it without first improving the surface and this will inevitably take care of discrepancies of this nature. In short, don't sweat the small stuff: there are more important things in the build process to consider such as timber selection, grain orientation and the structural integrity of the assembled components. Approach the task with a robot-like attitude and you can kiss goodbye to any meaningful human intervention and, dare I say it, skill. When it comes to deciding which planer/thicknesser to buy, it will help to think of the machine as just another roughing out tool in the line of processes required to make quality furniture. Labour-saving, yes but essential, no. I'd even go as far as saying that accuracy is not the critical function of this tool and should give way to convenience and efficiency as the primary concerns. Any deviation from this suggests, to me at least, an over-reliance on machines to do what we ought to be capable of achieving with hand tools. Note this advice is only relevant to smaller workshops. Commercial machinists will be waving their arms in the air about now and no doubt seeking revenge. If you haven't already gotten into the habit of removing a few wispy shavings from the face of a machine-planed board, then you're missing out. Try it and your timber preparation regime will be transformed. To draw a conclusion from this experience we must first of all apply a value to the time spent in changing knives and relate it to the initial cost of the machine and any other expenses, such as replacing disposable blades or using an off-site sharpening service. If we rate our time at £40 per hour and after a little practice it takes, on average, 1.5 hours to strip the block, sharpen the HSS blades in-house and reinstall them the cost of a pit stop is about £60. At between 30 and 40p per inch plus VAT for an off-site sharpening service, the same pit stop is more like £50 and although cheaper, you'd still have to change knives every month for the next six years to save enough money to buy a Tormek T-7. At the same workshop rate of £40 per hour, a typical disposable three-knife pit stop would set you back around £18 for the knives and about 15 minutes of labour; £28 in all making it by far the cheapest solution. However, given the initial cost of a machine with a quick-change feature is likely to be in the region of £2,600, it would take around 28 changes before you broke even. Factor in the cost of a Tormek T-7, though, and it's more like seven changes. For the smaller workshop, when it comes to TCT-tipped knives, you have no choice other than to send them out for sharpening. With a cost of around £150 for the three knives and a bill for sharpening close to £70 each time, you'd have to be running a lot of timber through your machine to make the investment worthwhile and this begs the question: have you got the right machine for the job in the first place? The true cost of running HSS knives is best quantified by assessing your appetite for crunching things down to thousandths of an inch before you're happy with the results. If this is likely to give you sleepless nights then quick-change TCT is the system for you and you'll never look back. If, on the other hand, you can live with a little blip occurring on your machine here and there, knowing full well you have the capacity and inclination to iron them out later, then you'll find that HSS will ultimately give you more options. 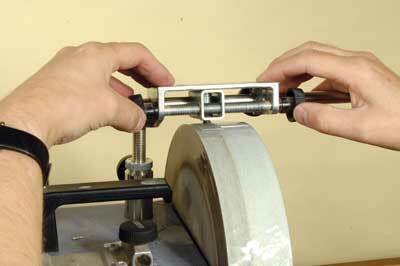 And as for those spiral cutters? Well, it's still early days to reach a conclusion in terms of economy but rest assured, we've got it covered and will have some statistics later in the year, so watch this space.